Today I visited the highly recommended Canta Rana in the Barranco District of Lima, Peru. I ended up going all out and spending 48 soles on lunch ($16), rather than the usual 9 soles ($3). This dish was worth every Sol spent! Tiradito, a formidable cousin of the traditional ceviche with just a few notable differences. Compared to a ceviche, this dish is composed without the typical onslaught of raw onion and rather than chunks of bite-sized pieces, the actual “meat” of the dish is sliced thinly and usually the bottom layer beneath some delectable sauce or a more traditional citrus marinade. 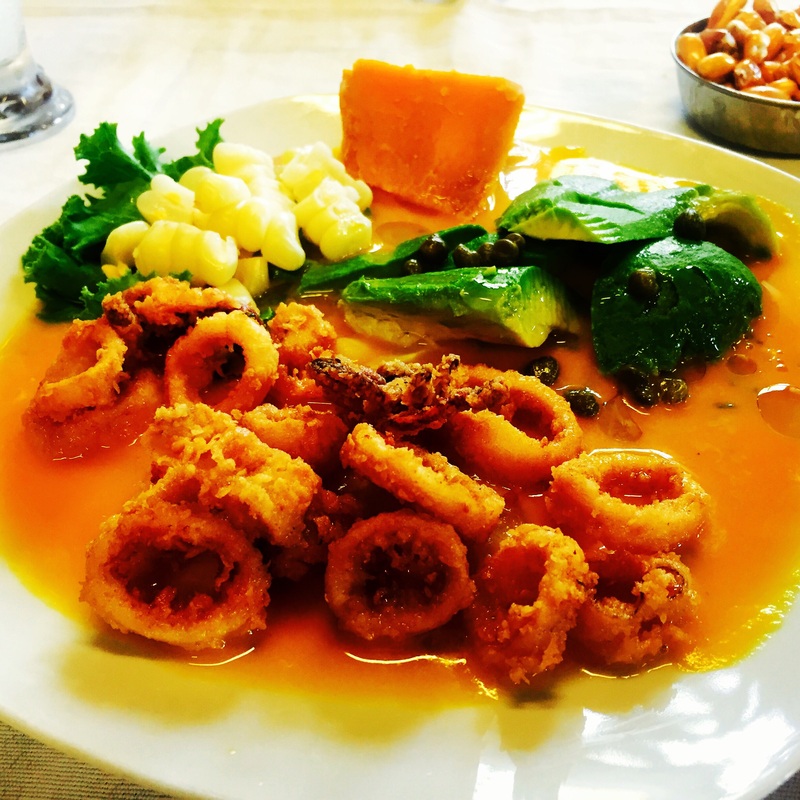 This particular variation of tiradito was topped with a aji chili cream sauce, avocados, and calamari. Having a slight onion allergy, I have always had a love/hate relationship with ceviche. When I stumbled upon this culinary masterpiece it won both my heart and my Sol! So glad that you loved La Canta Rana. That is our standard “last meal” in LIM before heading home on the redeye! There is not a single bad dish in that place!